On screen, Netflix's Orange is the New Black has highlighted some of the lesser known issues for women in prison, like transgender issues and the challenges of incarcerated mothers. 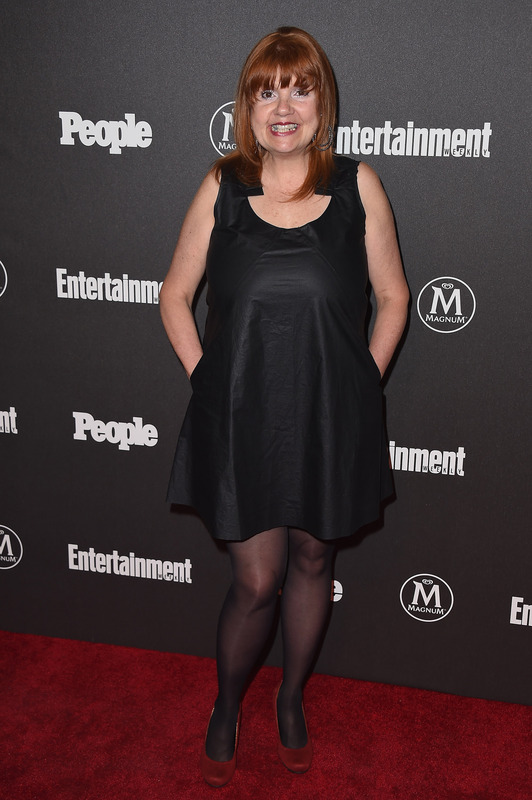 Off-screen, the Orange is the New Black cast works with the Women's Prison Association, says Annie Golden, who plays the taciturn Norma Romano on the TV series. In an interview with Bustle, she recalls how the show has been involved with the organization since the first season and it has grown since. The WPA even hosted an Orange is the New Black Season 4 premiere party on June 17 in New York City and all of the ticket proceeds benefitted the organization, which counts Piper Kerman as a board member. Kerman was incarnated and wrote the memoir on which OITNB is based. WPA has become an organization that Golden is very passionate about. She remembers the cast's first trip to the WPA headquarters as being eye-opening to the history of women in prison and the current issues that incarnated women face, like family abandonment, poverty, childcare, and many others. "To take them under our wing is a lovely and inspirational thing to do," she says. Since the show premiered in 2013, the cast has helped decorate for the WPA Thanksgiving party, wrap gifts and be Santa's helpers for the Christmas party, and stuff backpacks with back-to-school supplies for the children of incarnated mothers, says Golden, who regularly donates clothing along with other castmates. It's become a popular way to give back since the beginning. "At Orange is the New Black, we used to have a bin at the end of the hall and people would bring things in," she recalls. "Soon, it was overflowing, so they suggested we take our individual donations ourselves ... I do it regularly, because sometimes when you're in a Broadway show, you get doubles [of clothes], the tags are still on them, and, when the show closes, they're yours," she says. "So I go right over to the WPA, because you can give people hand-me-downs or gently used stuff, but when they get stuff with the tags still on, it's brand-new." Golden says she hopes those new clothes can provide some encouragement to recently released women as they venture out into the world on job interviews and any hearings they need to attend. While the Netflix series has been wildly successful, Golden still wants fans to recognize the real women's issues in the episodes. "Sometimes people say, 'Oh, you ladies make prison look like fun,' but no, it's not fun," she tells Bustle. "It's entertainment, a TV show, and these characters are zany and crazy, but we're not saying prison is fun." And that's why Golden and the cast are happy to help out the WPA.